Marius Zaliukas has told STV the squad have received their January salaries "as promised". 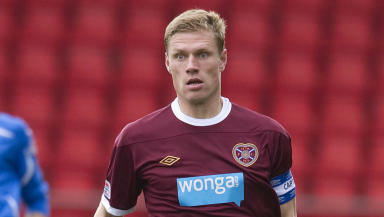 Hearts’ first team squad have all received their January wages, club captain Marius Zaliukas has told STV. The Gorgie side have failed to pay their players on time for the previous three months, leading to the Scottish Premier League considering sanctions against the club. January salaries fell due on the 16th and, following confirmation wages had been processed by Lithuanian bank Ukio Bankas, Zaliukas says the squad have all received their expected monies. Hearts had been warned they could face punishment from the SPL if they didn’t pay on time this month, with unlimited sanctions available. The club had previously met other demands from the league, including paying interest accumulated from the late payment of salaries in October, November and December. An SPL sub-committee had heard a complaint from PFA Scotland on behalf of the players on January 4.